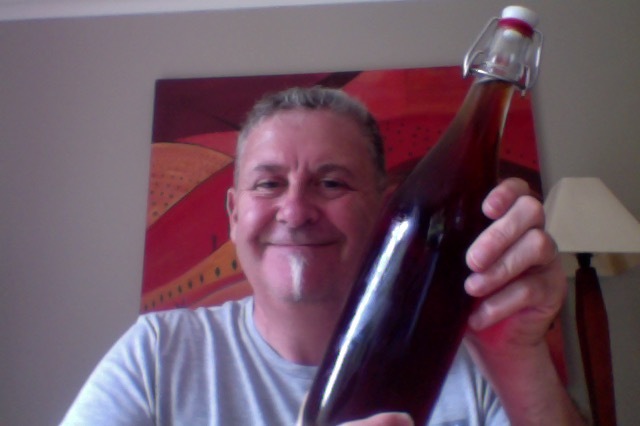 Having guests over and so I went for something that might appeal to the male half who’s partial to a raddler type beer, I went with something from Good George, in this case their Amber Ale slightly out of his comfort zone but it won’t kill him. From the growler station this is a 1 litre bottle of beer that is 3.7% ABV, making it 111 calories serve size, the bottle being 2.92 standard drink units. Brewed with a classic English bitter in mind. This beer is about rich, caramel malts, balanced with a dash of colonial hops. The Hard Workers beer, we’ll let you have a couple. It’s not a colour that I would say is ‘amber’ which I thought was more orange than brown. But whatever, it still looks quite nice. It has a malty nose does this, and something like perhaps banana. Pour is with a lovely off white orange tinged head that looks both firm and full. Taste us mostly that malt body, which brings a sweetness in this that is quite nice, and dampens a biscuit like under-note that I’m picking up. I’m also enjoying the slightest of dry finish that this has, because it’s nice. In picking a lower alcohol beer you have to forgo some things, and in this case it’s hop bitterness, also also where you take something away from a part you have an effect in some other places. This doesn’t have a strong taste profile is where I’m going with that. But I am enjoying a refreshing non-nonsense beer that is honestly delivered and looks great in the glass, and isn’t without merit. The pdubyah-o-meter rates this as 7 of its things from the thing. It was exactly what I thought it might be, nearly, because of course I have a great imagination. A lovely alternative that would allow you to have a couple, enjoy it a lot, and remember it the next day. Where did I get it? Liquorland in Forrest Hill had this on their line-up. Am I enjoying it? I am, it’s hitting the spot. Would I have another? I am going to indeed. Would I share with a friend on a porch and set the world to rights? This is a nice beer to take to somewhere if you have to drive, and you absolutely have to have a beer that isn’t zero alcohol and laden in lemonade, and that will keep you entertained. Also a great beer to quench the thirst on a muggy day. The Wanton Bishops is a Lebanese rock band formed in Beirut, Lebanon in 2011. Bit of the Blues never went wrong . 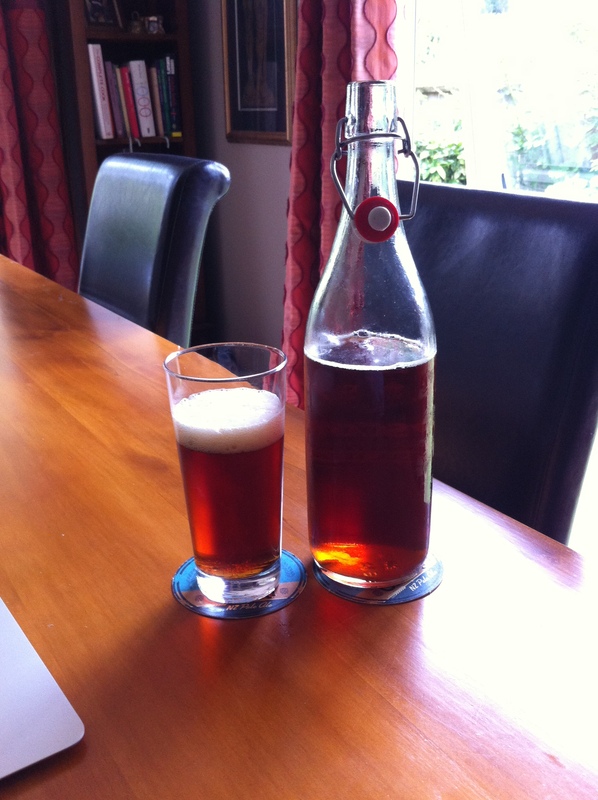 This entry was posted on February 27, 2016 by Philip Walter in Amber Ale, Beer, Beer of New Zealand, Craft Beer, Critic and tagged Alcohol by volume, craft beer, Good George Amber Ale, Good George Beer.